Maqui Berry is also shown beneficial for detox, immune support and anti-inflammatory and is also used to help with cardiovascular health, diabetes and other serious health conditions. Maqui Berry Superfruit Extract — this nutraceutical extract helps to repair broken blood vessels, fixes inflamed vessel walls and protects blood vessels from future damage. Anthocyanidins from this superfruit enter the blood vessel wall and incorporate themselves into areas in need of repair and/or protection. Just like Pine Bark Extract, its the anthocyanidins in Maqui Berry Extract are potent blood vessel “healers”. If you want to get serious about treating the “bloodshot” look, then Maqui Berry and its high concentration of anthocyanidins are the answer. 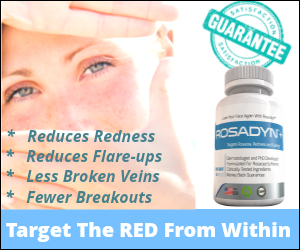 Rosadyn+ natural rosacea treatment support contains clinical concentrations of Maqui Berry Extract. 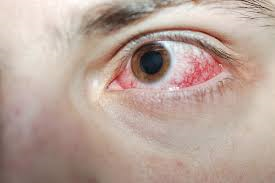 Maqui Berry Extract inside of Rosadyn+ to target three primary causes of ocular rosacea: (1) Lacrimal Gland Inflammation, (2) Ocular Surface Inflammation, and (4) Fragile Ocular Surface Blood Vessels that are broken or permanently dilated. 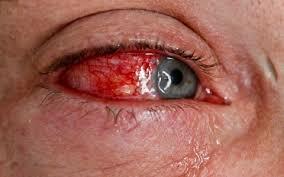 By normalizing all three layers of the tear film that protects and soothes the eyes, blocking and removing pro-inflammatory substances on the eye surface, and helping to repair broken blood vessels. * We do strongly recommend if you currently are undergoing medical treatments, on prescription medications for any medical conditions that you seek approval from your medical professional first before taking any supplements, changing lifestyle or dietary changes that may affect your condition or treatments.